You know what’s criminal? Turning a compelling story into a monotonous one. Sure, it can look pretty and show off enough flair to attract attention, but those won’t completely cover what it lacks. That was the issue for last year’s American Sniper (which doesn’t hold up to repeat viewings), and it’s the same case for this year’s Black Mass, which takes the fascinating true story of James “Whitey” Bulger, one of America’s most notorious criminals, and makes it pedestrian. This entry was posted in Movies on September 23, 2015 by Jun I. Good readers of MediaBrewPub, it’s time for another e-mail exchange! You’ve read what ensued when we paired Andrew and Jason (5 times, to be exact), and also when we paired Andrew and Jun for the last e-mail exchange. 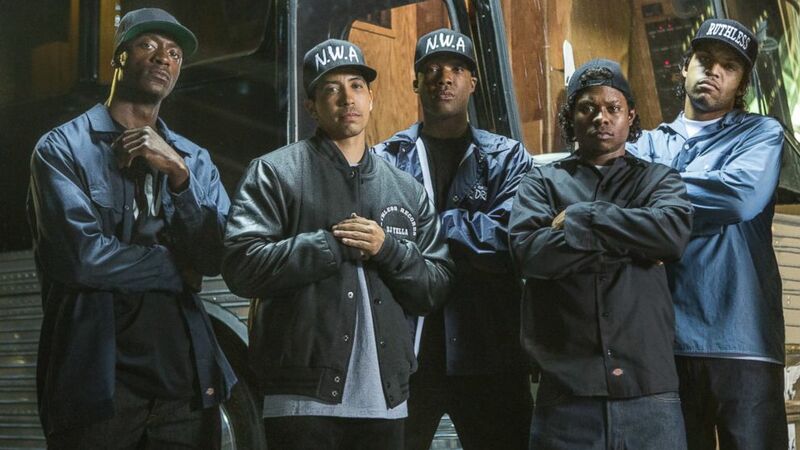 Andrew and Jun are back again, and they’re here to tackle Straight Outta Compton, currently the #1 movie in America. WARNING: Spoilers ahead. This entry was posted in Movies on September 8, 2015 by Jun I.